For many years, when I would read, “Blessed are the peacemakers…” the image in my mind of a peacemaker was that of someone who lived a blissful existence, spoke quietly, and was somehow able to make everyone around them happy. A closer look at the text reveals my understanding was a little off. As I have watched men and women live out their lives as peacemakers, filling the messy, real-life chasm between the first and second clauses of this verse, the second half — “for they shall be called the children of God,”– the true understanding of peacemaker makes a little more sense. What is peace? Who is a peacemaker? Resembling my naive understanding of a peacemaker, the peacemaker does desire that people live a blessed existence, speak gently, and are able to live at peace with all men. But the peacemaker realizes that there is often a high cost in making it possible for others to do so. It is a cost that requires that the peacemaker, at least temporarily, give up the comfort of living within that definition of peace. And the definition of peace and peacemaker? How does one confine such an overarching, broad theme to just a handful of words? The word “peacemaker,” used in this New Testament passage is εἰρηνοποιοί, coming from εἰρήνη (eirene, peace) + ποιέω (poieó, do, make). Yet the New Testament concept of peace would be impossible to understand without the Old Testament concept layered beneath it. In the Old Testament, peace was שָׁלוֹם, or shalom. It was more than just a simple word, but a broad, overarching concept running through all of Scripture. And so, it is with this compressed understanding that we see what the peacemaker is working toward: for peace, for shalom, for flourishing. The work and labor of making peace is one that the peacemaker is in for the long haul. It’s often misunderstood, and it usually feels like you’re pleasing no one. Taking a stand for peace, for shalom, for human flourishing, will often create alienation; for it means pressing against injustice, against brokenness, against the long-held traditions and systems, loving preemptively, pushing to restore order. Pursuing peace – human flourishing for all peoples – in crazy ways, will often make the peacemaker the target of hateful words and even hateful action. There are parts of the status quo that must change if we must have peace for all men. There are hierarchies that must be destroyed if we must have peace for all men. The are broken and flawed systems that benefit their shareholders, but crush others. 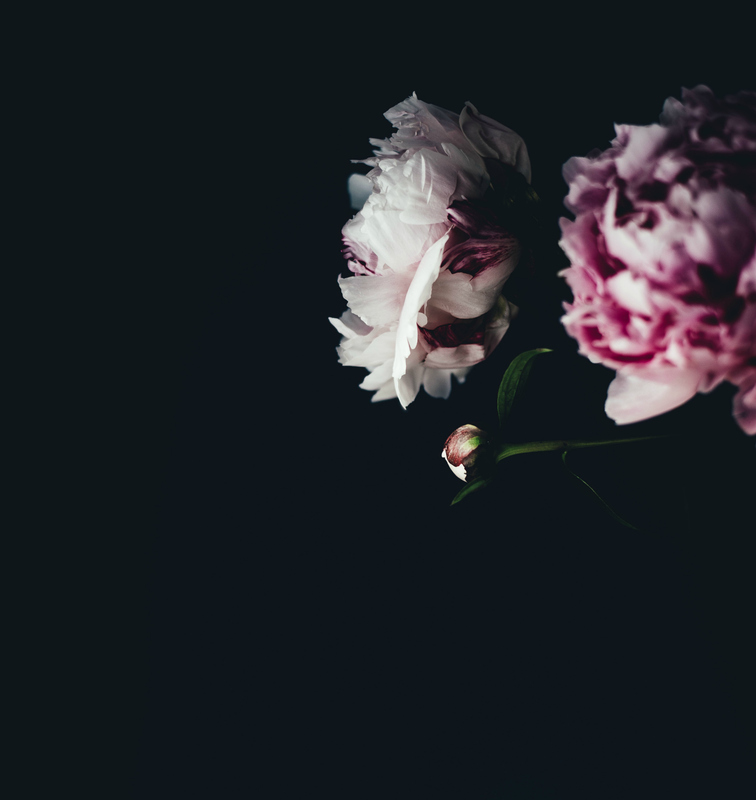 Often, peacemaking starts with first confronting that brokenness within ourselves. Wherever peace is pursued, there is a cost. But when it is not pursued, the eternal, comprehensive, long-lasting cost is greater. We pursue peace. We wrestle with creating “on Earth as it is in heaven.” We long for something we wonder if we will ever see. When you are abandoned by your earthly family, your fathers, your mothers, remember this – you are called the children of God. When, because of your push for peace, your earthly titles and identities are taken from you, remember this: your identity is this – a child of God. When you pursue peace in such a way that you no longer fall under any label, not readily accepted by any one identity, remember this: your identity is a child of God. When fear would consume you, you are a child of God. The “the fear of man brings a snare” — not so much the trembling hand to hand a waitress or passerby a Gospel tract, but this: to speak up, even when it goes against those whose approval you most desire; even when it means there will be some to whom you can never measure up; when it means to question longstanding tradition and the status quo, even when tradition has been passed from generation to generation. To combat prejudice and pride, visible and hidden. When it means you decide to lay down years of insulating from difference and change, and take on the tension of living and working together for unity. To take up the cause of the side no one else believes is worth fighting for. You shall be called the children of God. 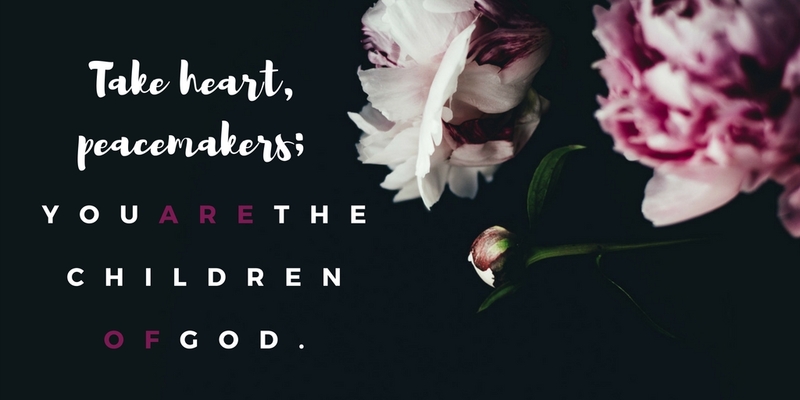 Take heart, peacemakers, you are the children of God.